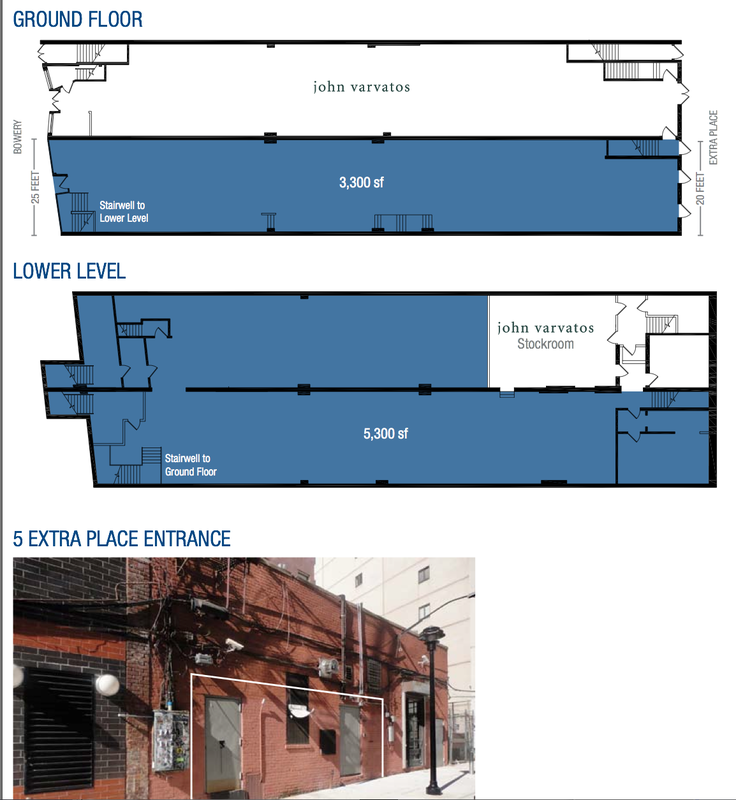 So as Gothamist reported this morning, there's some sort of movement to bring back CBGB. Let's jut gloss over whether this is even a good idea... 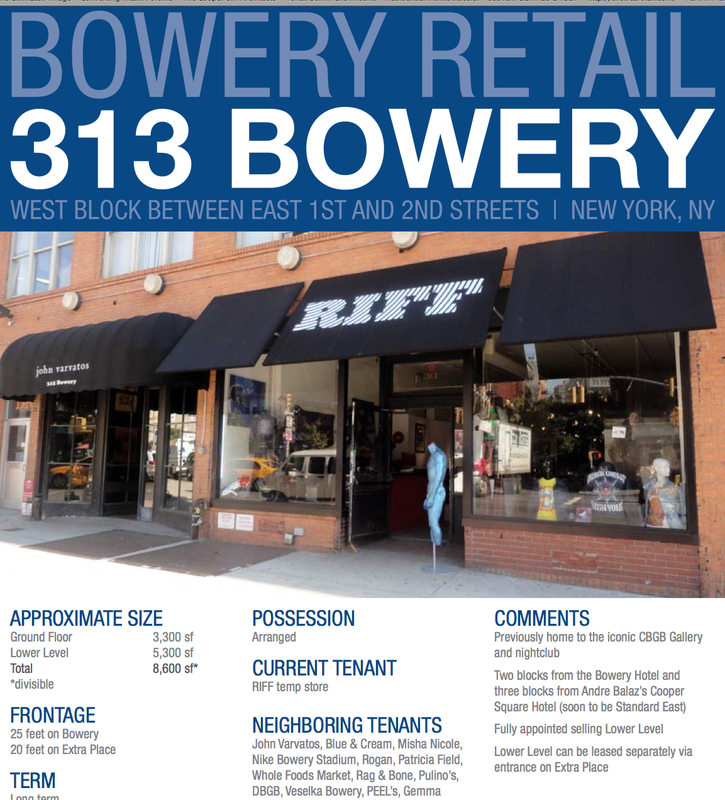 If the new CBGB people need a space, here's an option: 313 Bowery, once home to the CBGB Gallery... right next door to CBGB, of course. The Morrison Hotel Gallery checked out of 313 Bowery at the end of September. Recently, the space became home to Riff, which sells the rock-and-boa inspired clothing line called Andrew Charles, created in part by Steven Tyler. Apparently, though, that store is only here on a temporary basis.